Speaker, Madena Asbell, Director of Plant Conservation Programs at the Mojave Desert Land Trust in Joshua Tree, CA. The Mojave Desert Land Trust was founded in 2006 by a group of local environmentalists. In 2015 the organization moved into an old nursery facility and began restoring it to working order. Over the past 2½years, MDLT has established a native plant restoration nursery, a conservation seed bank, and an herbarium to dedicated to the documentation, preservation and restoration of native plants on its properties. In this presentation, Madena Asbell will discuss MDLT’s mission and plant conservation programs. Madena Asbell is Director of Plant Conservation Programs at the Mojave Desert Land Trust in Joshua Tree, CA. She has a background in art and horticulture and has over 15 years of experience working with CA native plants. Prior to joining MDLT, she was director of horticulture at the Theodore Payne Foundation for Wild Flowers and Native Plants in Sun Valley, CA. This presentation will introduce our audience to what a Land Trust is, and will discuss the important work that these community-based organizations are doing in San Diego County and around the country to protect open-space lands, restore habitat conditions, and protect public recreation opportunities. The Back Country Land Trust (BCLT) is one of our local, homegrown land trusts here in eastern San Diego County. Based in the semi-rural community of Alpine, this local conservation group has helped to protect over 6,000 acres of critical habitat in eastern San Diego County since 1990. BCLT currently manages 4,000 acres of open-space land from Alpine and Peutz Valley to La Posta and Potrero. Their conservation lands are open to the public for passive recreation opportunities, such as hiking, mountain biking and horseback riding. BCLT also endeavors to protect the working landscapes in the East County for their cultural heritage and history of farming and ranching, by working with local communities and tribal groups to identify key historic properties and places of ancient cultural significance to the Kumeyaay people, local settlers, and current residents of the Back Country. Watershed Gardens are the future of California home landscaping. Join NatureScape and MyAvantGarden.com creator Jodie Cook to learn how to create a wildlife-friendly, naturally low-water native garden with curb appeal using the watershed approach to landscaping. Our gardens can do so much more than just look pretty – designing with the watershed means creating a garden that flourishes in the face of change. You will be introduced to basic rainwater capture theory and contouring soil for rain. As a professional landscape designer, instructor and former public garden Director Jodie Cook immerses herself in plants, gardens and landscapes daily. She was certified in Landscape Architecture through the University of California, Berkeley and has trained at the New York Botanical Garden School of Horticulture and Design. Jodie is an EPA Watersense certified Watershed-Wise Landscape Professional, a Watershed-Wise Landscaping Qualified Trainer, a US Green Building Council ‘Sustainable Sites’ Certified Advanced Professional. 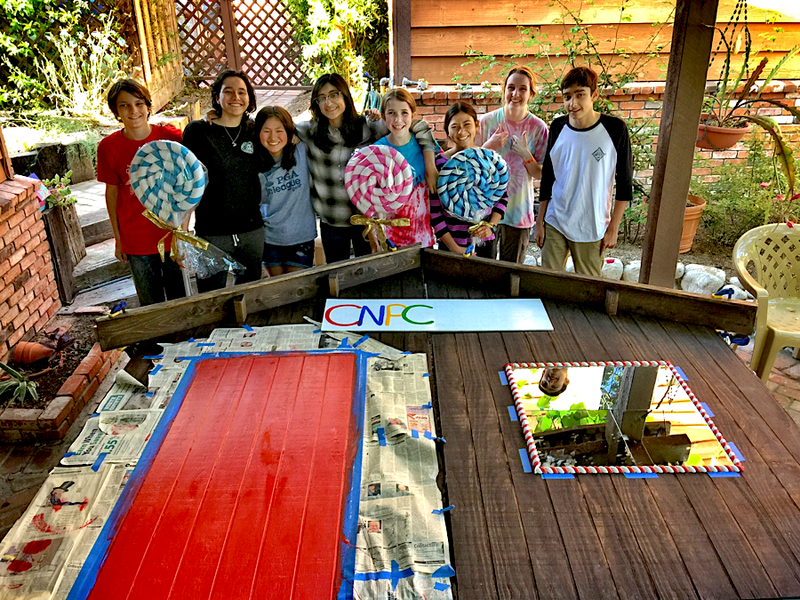 She has taught Metropolitan Water District’s California Friendly Landscape Workshops. Patrick will speak about using California native plants to connect urban and designed landscapes with our California wild lands. 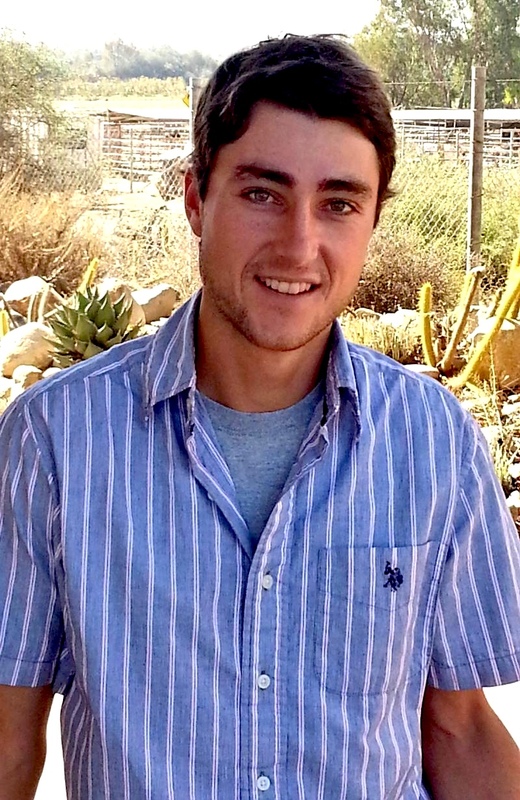 Patrick Montgomery is the Sales Manager for RECON Native Plants and has a B.A. in Landscape Architecture. "Creating a Native Plant Display Garden at the San Diego County Fair"
The Revillagigedo Islands are a remote group of islands that consist of three islands and a large rock that range from 250 miles to 435 miles south and southwest of Cabo San Lucas. The largest is Socorro which ranges to over 3,300 feet in elevation and is 51 square miles in area. Clarion, the farthest out, is 7.6 square miles and San Benedicto, the closest one is 3.86 square miles. The rock is Roca Partida, a large sea stack far out in the ocean. They are semi-tropical but also have plants that are related to those in California and of course, southern Baja California. They all formed as the result of volcanic activity. San Benedicto violently erupted in 1952 and caused the extinction of an endemic form of rock wren. All the islands support endemic species of plants and birds, and Socorro and Clarion were subjected to extensive sheep grazing for approximately 100 years. The impact was extensive but the removal of the sheep by the Grupo de Ecología y Conservación de Islas and their partners including Island Conservation Ecology Group, has allowed the islands to make progress toward recovery. In February 2017 an expedition was made to the Revillagigedo Islands, stopping at a series of other islands on the way: Acunsion, San Roque and Magdalena Islands along the Baja California coast. Tom will provide a visual description of these fascinating, remote and little visited islands. He will describe the vegetation and many of the endemic species that inhabit the islands as well as some of the birds that utilize the islands as breeding areas. Tom Oberbauer is a third generation native San Diegan with a life-long passion for Baja California and, in particular, the nearby islands. Beginning while at San Diego State University, Tom worked for the County of San Diego for 35 years while indulging in visits to nearly all of the islands off the coast of Southern California and Baja California. His interests emphasize native and rare plants, but they also include all birds, mammals, and reptiles that inhabit the region. Designing native plant gardens can be organized in many facets including science, form, function and art. Taken together, Bob Perry has found the challenge of designing a native plant garden to be quite overwhelming. This challenge has been made easier, but not simple, by spending years studying plant ecology, morphology, physiology, principles and elements of are, and design form. He is still imprinted by my early years in landscape architecture with two axioms: ‘Design is a Process’, and ‘Form follows Function’. Today, he has come to the view that he has been learning how to write a story. A story that is called: ‘My Native Plant Garden’. He looks forward to sharing his story. Robert Perry is Professor Emeritus of Landscape Architecture at Cal Poly Pomona. His academic career began in 1972 and still continues today. During this time he has taught in the UCLA Extension Program in Landscape Architecture, Landscape Architecture Studies at USC, and at Cal Poly University Pomona. His career has been focussed on the study of plants and water conservation. Bob has written two previous books on landscape plants and water conservation including: Trees and Shrubs for Dry California Landscapes, 1980, and Landscape Plants for Western Regions, 1992. His latest effort, Landscape Plants for California Gardens, continues in this tradition. This latest book greatly expands the scope of coverage and thoroughness of photography. 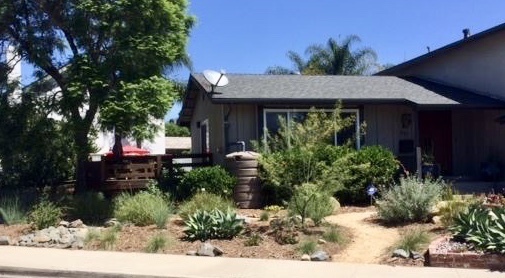 Bob has been a licensed landscape architect since 1972 and has actively participated in many professional projects where his expertise on California native plants and landscapes for water conservation has been applied and refined. He continues to be an active proponent of resource conservation in landscapes through teaching, writing, public speaking and professional work. Jeff will present a showcase of photographs and descriptions of many Dudleya species (liveforevers) from Southern California and Baja California. His talk will include some other succulents and also cacti species from the region. Of special interest will be highlights from a Dudleya excursion last year to Cedros Island off the west coast of Baja. Dudleya is a genus of succulent perennials in the Crassulaceae (Stone-crop Family). Jeff Moore is owner and operator of Solana Succulents, a retail succulent nursery that has been in Solana Beach for 25 years. He has published three books on succulents: Soft Succulents (about Aeoniums, Echeverias, Dudleyas, Crassulas, Sedums, Kalanchoes and other species in cultivation); Aloes & Agaves in Cultivation; and Under the Spell of Succulents. His books will be available at the meeting for perusal and sale. Some plants will also be for sale. We eat and drink them, build with them, and play on them. Of the 10,000+ species of grasses, discover some of the many California native choices for ornamental value as well. Whether replacing your water-guzzling lawn with a low-care alternative, creating habitat for wildlife, or simply adding movement to your garden, this talk will offer up many climate-appropriate native grasses and grass-like plants to consider. Carol Bornstein is Director of the Nature Gardens at the Natural History Museum of Los Angeles County, where she oversees the long-term care and development of this 3.5-acre habitat for urban wildlife. For nearly 30 years, she was horticulturist at the Santa Barbara Botanic Garden. Carol co-authored two books, the national award-winning California Native Plants for the Gardenand Reimagining the California Lawn: Water-conserving Plants, Practices, and Designs, both of which champion the benefits of designing gardens in harmony with nature. She continues to advocate for sustainable, regionally appropriate landscaping and to share her knowledge of plants native to California and other mediterranean and dry-climate regions through her writing, teaching, and design work. She received a B.S. in Botany from the University of Michigan and an M.S. in Horticulture from Michigan State University. An illustrated talk that will explore the great diversity of bees that have co-evolved with California's native flora. Approximately 1600 bee species are known to be native to California. Some bees are generalists pollinating a variety of flowers from different plant families, others are more specialized. This informative talk featuring beautiful images of our native bees will cover the six recognized families of bees (Anthophila) extant in California. Hartmut Wisch led European visitors through natural areas of the U.S. and Canadian West for 35 years. After retiring, Hartmut discovered a love for macro photography. His principal interest are insects, mostly our native bees. He has taken several bee identification classes with Robbin Thorp, is a member of the Lorquin Entomological Society, and a contributing editor at Bugguide (hosted by Iowa State U. Entomology). with Christopher McDonald, PhD., Natural Resources Advisor, University of California Cooperative Extension, San Bernardino, San Diego, Riverside and Imperial Counties. California is home to a wide variety of plant and animal species, with Southern California being particularly diverse. Southern California has a unique climate pattern, topographic and geologic diversity which all contribute to create a wonderful place to call home. Native plants form the base of the food web in our wildlands and are essential to many species of wildlife, yet our traditional suburban landscapes are dominated by non-native plants that offer little benefit to wildlife. When land managers and homeowners learn some of the causes of species diversity they can view the world through the eyes of a native pollinator, or a bird, and adapt their landscapes to increase the amount of native wildlife that visit their yard. Through the increased use of a variety of native plants, and by providing food, water and shelter, we can create backyard habitats for small species of wildlife that can enrich our yards and our lives. Dr. McDonald has been working on vegetation management research for over 15 years. His research focuses on reducing and managing invasive plants, including highly invasive and novel species, as well as restoring native plants after weed removal among other wide-ranging interests. Anza Borrego has been identified as one of the best locations in the Country to observe wildflowers. With rainfall that came at well timed intervals, the 2017 season was reported as a potential Superbloom. It did not disappoint with sheets of color in Henderson Canyon from Desert Gold, Evening Primrose and Sand Verbena as well as Desert Lily and Desert Dandelion. Over a period of a few weeks the Brittlebush/Incensio and Ocotillo flowered as well. Nearly the same time period, the coast was having its own bloom that was the best in years with Sea Dahlia, California Encelia, California Poppies and Fringed Ground Pinks being prominent on Point Loma and Torrey Pines State Reserve. Tom Oberbauer will provide images of the season for these areas and explanation of the flowers and vegetation. Tom Oberbauer is a third generation San Diegan with a long history of visitation to the San Diego Desert as a guide for the NAT and exploring on his own and with an equally long history of observing wildflowers on the Coast. He is a long time member of CNPS and is a member of the Board of the NAT. He also has written numerous articles on the natural history of San Diego and the islands of Baja California, has a YouTube site: PLNaturalResources featuring documentaries on the Pacific Coast Baja California islands, and is currently working on a documentary for the 2017 wildflower season. Sula will speak about her explorations of the flora of the Santo Tomás, San Vincente, San Jacinto, and San Quintín Valleys, which are core habitats for the California Quail. Sula Vanderplank, Ph.D., is a conservation scientist who works as a Biodiversity Explorer for the Botanical Research Institute of Texas, and serves as Science Advisor for Terra Peninsular, AC. She received her Ph.D. from the University of California, Riverside, and is a research associate at the San Diego Natural History Museum. She has spent the last 10 years studying the flora of NW Baja California, where her favorite habitat is maritime succulent scrub. She wrote her masters thesis on the flora of San Quintin and later authored the regional field guide, "Quail-friendly Plants of Baja California". 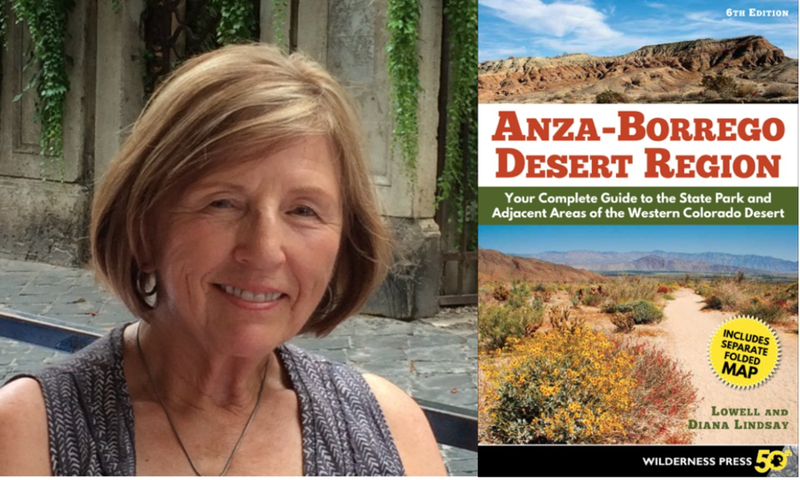 She is also the co-author with Jim Riley & Jon Rebman of "Plant Guide: Maritime Succulent Scrub Region, Northwest Baja California, Mexico". For thousands of years, the Kumeyaay people of northern Baja California and southern California made their homes in the diverse landscapes of the region, interacting with native plants and continuously refining their botanical knowledge. Today, many Kumeyaay Indians in the far-flung ranches of Baja California carry on the traditional knowledge and skills for transforming native plants into food, medicine, arts, tools, regalia, construction materials, and ceremonial items. 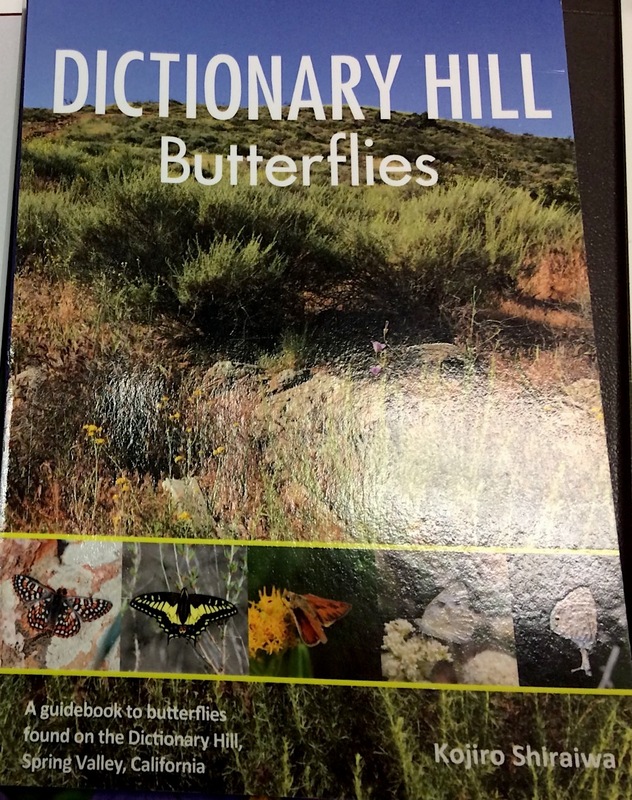 Kumeyaay Ethnobotany explores the remarkable interdependence between native peoples and native plants of the Californias through in-depth descriptions of 47 native plants and their uses, lively narratives, and hundreds of vivid photographs. It connects the archaeological and historical record with living cultures and native plant specialists who share their ever-relevant wisdom for future generations. Anthropologist Michael Wilken-Robertson’s lifelong collaborative relationships with Native Baja Californians have allowed him to explore traditional indigenous uses of plants in the diverse habitats of their territory, from the ancient past into the present. His new book provides in-depth descriptions of forty-seven California native plants and their uses. "Watering Native Plants in Small Places"
with Greg Rubin, Owner California's Own Native Landscape Design, Inc.
A presentation on the management of endangered plant species on the Cleveland National Forest. Ms. Winter will begin with an overview of the Endangered Species Act and how this guides federal land management and then will discuss most of the endangered plant species that occur on the forest and special management actions that have been taken to protect them. ESA is one of the principal environmental laws guiding USFS land management and Southern California is a hot spot for endangered species. Federal lands have special responsibilities for protection of listed species so this comprises a substantial percentage of USFS's work. Kirsten Winter is currently the Forest Biologist for the Cleveland National Forest, where she has worked for the past 27 years. She is responsible for the Forest Wildlife, Fisheries, and Rare Plants program. She has a B.A. in Botany from the University of Iowa and an MS in Ecology from UC Davis. "How to Plant a Native Plant"
“Nature Restoration Landscaping & Calscape” is focused on helping people restore nature in their gardens, by building natural ecosystems composed of plants, insects, birds and other animal life indigenous to their location. We’ll discuss some of the best practices for nature restoration landscaping, and demonstrate the Calscape web site, a powerful tool for helping people figure out which plants naturally belong in their garden, where to buy them and how to keep them healthy. Dennis Mudd is a self-taught native plant enthusiast, who founded Calscape to enable small scale nature restoration efforts in California. Mudd now leads development of the site in partnership with CNPS and Jepson eFlora. His native garden won San Diego Home and Garden’s “Garden of the Year" award in 2012. Joseph Sochor is a digital business consultant in San Diego. He designed the website for CNPS-SD and administers the social media platforms for the chapter. We’ll explore how native plants are integral to any landscape, not just because of their drought tolerance, but because of their communication skills. We’ll also see how using permaculture practices when planting ensure native plant survival. Diane and Miranda Kennedy of Finch Frolic Garden Permaculture. Diane is a former SDC Senior Park Ranger and active with the Fallbrook Land Conservancy’s Native Plant Restoration Team. Miranda has a degree in Wildlife Conservation and is a Board member with the FLC. Together they teach permaculture through tours of their food forest, consultations, lectures and via www.vegetariat.com and Finch Frolic Facebook. Alden Hough is a Permaculture Designer and Educator, and Program Director of Non-Profit organization Sky Mountain Permaculture in Escondido, where he teaches people how regenerate the Earth and live more sustainable lives. He has created a seven-acre rainwater harvesting demonstration site to show people how to “first plant the water”. Alden graduated from the Center for Agro-Ecology and Sustainable Food Systems program and has a Geology degree from the University of California, Santa Cruz. The goldspotted oak borer (Agrilus auroguttatus) (GSOB), South American palm weevil (Rhynchophorus palmarum) (SAPW) and Invasive shot hole borers/Fusarium dieback disease (Euwallacea sp/Fusarium sp.) (ISHB/FD) are invasive, non-native tree pests causing or contributing to tree mortality in urban, natural and agricultural landscapes throughout the region. Once established in an area, they create significant economic, ecological, cultural and aesthetic losses across public and private land ownerships. Widespread tree mortality impacts wildlife, especially threatened and endangered species, through loss of a food source and habitat; creates potential hazards, especially near dwellings, along roadways, and in recreational areas; may lead to an increase of fuel loads, which can increase the severity of wildfire; and increases green waste management challenges. Additionally alarming are reports by researchers with the USDA Forest Service about the potential costs to multiple ecosystem values and public health from high volume tree mortality. The goldspotted oak borer continues it’s expansion in San Diego County as well as isolated locations in southern California. The South American palm weevil threatens multi-million dollar industries in the state and a tree species that contributes to California’s unique landscape. At the current rate of infestation, it is estimated that Invasive shot hole borers/fusarium dieback disease will kill 26.8 million trees – nearly 40 percent of the trees in Southern California in the next few years. Representatives from the University of California Cooperative Extension will provide updates on the latest science and programming status on these three invasive tree pests. John Kabashima, MBA, Ph.D., Environmental Horticulture Advisor, Emeritus. John’s research and extension programs have included the management of insects, diseases, and weeds in horticulture production systems and urban landscapes, biological control of exotic pests, water use and water use related problems of landscapes and nurseries. John is currently working on the Invasive Polyphagous and Kuroshio Shot-Hole Borers/Fusarium Dieback complex. Jennifer Pelham has been the Horticulture Advisor with UCCE in San Diego and Orange Counties for the past 11⁄2 years. Previously, she spent 14 years with the University of Florida Extension. She obtained her B.S. from Penn State and two master degrees from the University of Florida, including one in Pest Management. Jennifer is also a Certified Arborist. Jan Gonzales is a Program Coordinator with the UCCE, San Diego. Beginning in 2005, Jan has provided leadership in developing new education and outreach programs to address local county and regional natural resource challenges. Jan has a Bachelor’s degree in Agricultural Business Management and a Master’s in Strategic Communications. "Everything You Always Wanted to Know About Trees But Were Afraid To Ask"
The mariposa lilies (genus Calochortus) include about 70 species found in western North America from British Columbia south to Guatamala with its center of diversity in California. The mountains, foothills, and coastal regions of southwestern California and northwestern Baja California, Mexico offer 15 species. The flowers of these bulb-forming perennials come in a in an assortment of colors and forms varying from the all-white globe-shaped white fairy lantern (C. albus) to the brilliant orange of the desert mariposa (C. kennedyi), the reds, whites, and yellows of the butterfly mariposa lily (C. venustus), and the Weed’s mariposa lily (C. weedii). Some species are widespread, others are included in the CNPS Inventory of Rare plants because of rarity or threat. Join us tonight as Fred M. Roberts gives us a tour of this delightful group of wildflowers. Fred Roberts, author of Illustrated Guide to the Oaks of the Southern Californian Floristic Province (1995) and co-author Wildflowers of Orange County and the Santa Ana Mtns. Regions (2013) has been working with native plants since high school. He was the assistant curator of the Herbarium at the Museum of Systematic Biology at U.C. Irvine for nine years, worked as a botanist with the U.S. Fish and Wildlife Service primarily adding species to the endangered species list, and has spent the last 17 years as an independent botanical consultant, author, and artist. He is also the Chapter Rare Plant Botanist. His specialties include the flora of Orange County, oaks, lilies and their relatives, and rare plants of southern California.